The paloma (Spanish for "dove") is a tequila-based cocktail, most commonly prepared by mixing tequila with a grapefruit-flavored soda such as Squirt and served on the rocks with a lime wedge. Optionally, the glass may also be rimmed with salt. 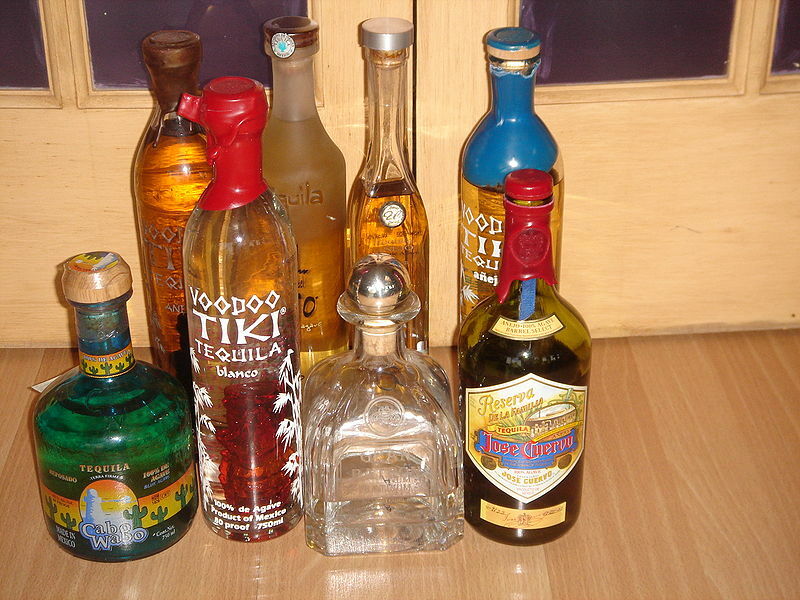 Left: Tequilas of various styles, primary alcohol in Paloma. Alternatively, the grapefruit soda can be replaced with fresh white grapefruit juice (jugo de toronja) and either club soda and sugar, or a lemon-lime soda such as Sprite. The paloma is the most popular tequila-based cocktail in Mexico. Stir together and serve in a highball glass over ice, garnishes with a lime wedge.